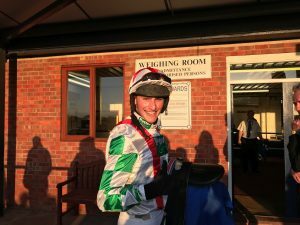 Alex Fielding enjoys first ride and first winner at York! 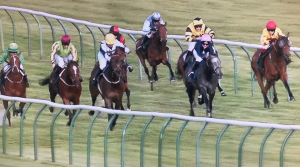 We have had an unusual start to this year’s amateur Flat season, with our Clerks of Courses seriously challenged by the atrocious spring weather and the loss of one of our races at Ayr as well as the postponement of our ladies race at Salisbury. 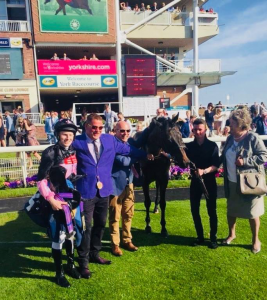 It was brilliant to see a field of 20 gentlemen riders go to post at York on Saturday 26 May for the John Wright Electrical 7f Handicap and even better to see Alex Fielding enjoy not only his first ever ride under Rules but also his first winner aboard MAGIC CITY for Mick Easterby with stable companion IMPERIAL STATE 3/4 length 2nd for Jack Teal. 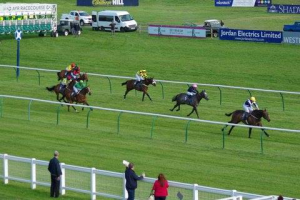 The ladies were in action on the Flat at Ayr last Tuesday and whilst Becky Smith is making every effort to close the gap on reigning lady jumps champion Page Fuller for the National Hunt ladies championship, she enjoyed a fine victory on the level for Marjorie Fife when partnering LUV U WHATEVER in the 1m 5f Ladies Handicap to win comfortably. Battle for amateur jump championships continues! Only 16 days until our finale of the amateur jump season on the evening of 8th June at Stratford and there is still all to play for in the amateur championships! 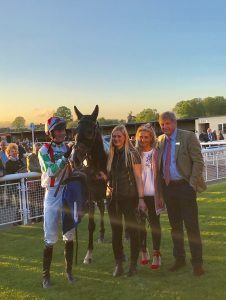 Well done to Lorcan Williams who went one clear of Zac Baker last week with his win aboard MONSIEUR GIBRALTAR at Fontwell’s Hunterchase evening on Thursday which takes him to a tally of 12 for the season so far. 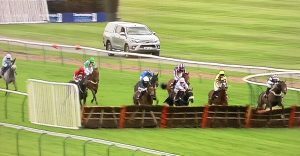 Lorcan has 2 rides this afternoon at Warwick and could add to that score. 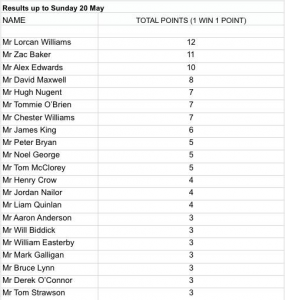 There are plenty of gentlemen stacking up behind him with not only Zac on 11 but also Alex Edwards on 10 wins so this contest is far from over yet! The ladies battle saw reigning champion Page Fuller make a great bid to reclaim her title with 3 wins in 4 days, following up her Saturday win at Haydock on MONBEG THEATRE with a win at Towcester 2 days later in a match race on OUR THREE SONS (his debut over fences) and ICE TRES rewarding a good ride at Wincanton the next day over hurdles for Chris Down. 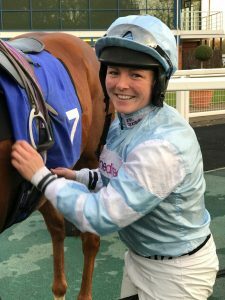 Congratulations to Page who is now on 15 wins for the season so far, but Becky Smith is giving it her all in a battle to the line, currently on 11. 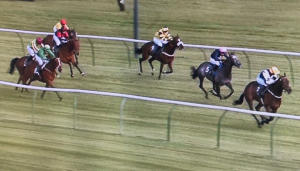 Becky was denied victory aboard OUR KYLIE in a chase at Towcester this Monday by just a nose after 2 1/2 miles and rides tonight at Southwell. 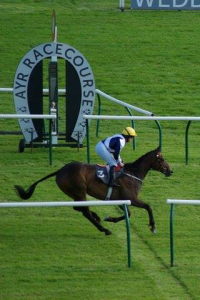 Meanwhile, well done to Becky won on the Flat yesterday at Ayr! Are you an amateur Cat B licensed jockey looking to turn professional in the near future? Then read on!! The British Racing School has kindly programmed an additional Conditional Jockey Course from 25 to 29 June. PLEASE NOTE: This is a Course purely for Category B Amateurs converting to Conditional only. This course is NOT for brand new applicants or Category A Amateurs wanting to become Conditionals. The Course is a last minute addition to this year’s programme and there will not be another Conditional Course until mid-August after this. 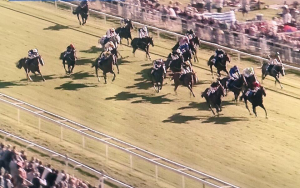 If there is anyone wanting to ride as a Conditional over the summer who currently holds a Category B Permit, they need to act fast and get their applications in to the BHA as soon as possible. DO NOT FORGET!! 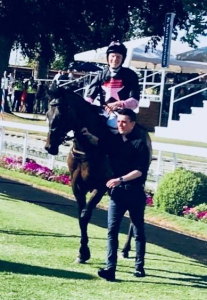 : Current BHA Rules state that any conditional/apprentice jockey who wants to revert to amateur status can only do so whilst aged 25 or under and with no more than 25 wins as a professional! Any queries please contact Max Milward, Licensing Assistant at the BHA on 0207 152 0145. This card gives you the right to access state-provided health care when in Europe either at a reduced cost or in many cases free of charge. You need a National Insurance number or a National Health number in order to apply. 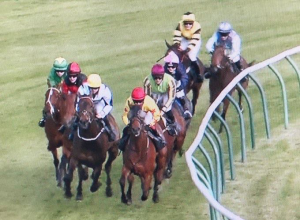 2 Make sure your Amateur Jockeys Association membership is up-to-date and valid so that in the event of an emergency you are entitled to help and support which is always available. 3 Make sure you have clearance from the BHA both from the Medical Department and Licensing Disciplinary so that there are no problems when you come to weigh out abroad. 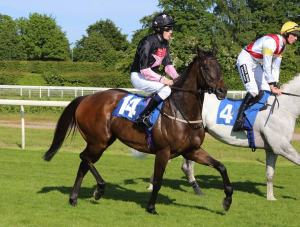 4 Make sure you are race riding under the Rules of Racing under the jurisdiction of a Horseracing Authority which is recognised worldwide in order for your jockey race riding insurance (which comes with your BHA licence from weigh out to weigh in) to be valid. 5 Make sure that you purchase your own personal travel insurance in addition to the BHA insurance which your licence gives you. The BHA insurance does not cover repatriation if you have to be flown home in an emergency (cost approximately £25,000+) and therefore it really is worth it to purchase some travel insurance on-line for a small cost! We recommend Boots Travel Insurance with the Option 3 Hazardous Sports included. You only have to purchase this for the day of your race to minimise costs and it could make all the difference if something goes wrong and you sustain an injury. 6 Make sure you are registered with a GP in the UK. This might sound unnecessary but for some Irish jockeys now based in the UK this is really important. 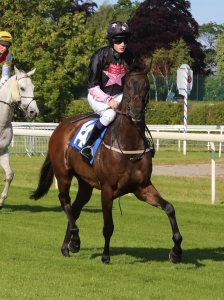 7 A further reminder for jockeys considering working abroad this summer: If a rider is based overseas and hopes to ride under Rules overseas, a permit must be sought from the relative governing authority in which they are currently based (e.g. 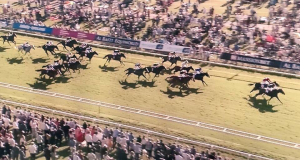 France Galop, Direktorium Für Vollblutzucht Und Rennen). Riders with existing and valid BHA Amateur Rider permits can ride overseas for up to a period of up to thirty consecutive days. After a period of thirty successive days overseas, riders’ insurance ceases to be valid. Permits will not be renewed or granted for individuals that are not permanently based in Britain at the time of application. 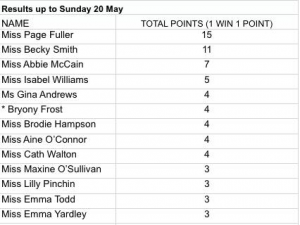 The ladies jumps contest is as equally gripping as the men’s with reigning champion Page Fuller taking an early seasonal lead but finding a serious challenger in Becky Smith who has played cat and mouse with her over the last few weeks. 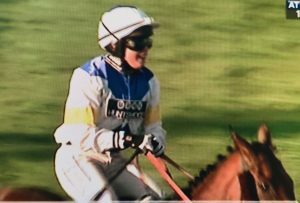 Both girls have been vying for the lead with Becky now on 11 wins, 4 clear of her nearest rival Abbie Mccain, and nearly making it 12 but beaten a neck at Hexham on Saturday. 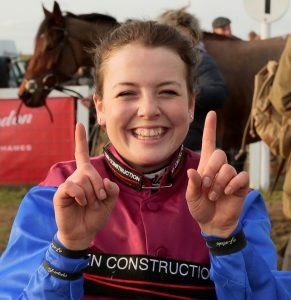 Page enjoyed a convincing win at Haydock earlier that afternoon for Jamie Snowden with Monbeg Theatre, repeating their recent Cheltenham victory and taking her to 13 wins for the season. 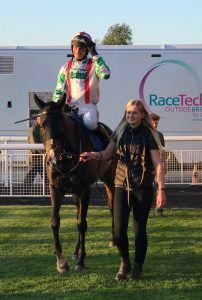 Page has added to that tally this evening when winning a match race at Towcester, again for her stable, with OUR THREE SONS but she knows well enough that she cannot rest on her laurels as no doubt Becky is looking for more rides over the next 3 weeks! 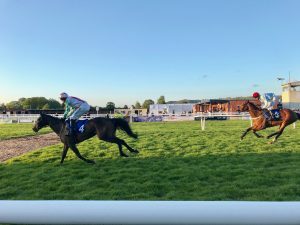 Whilst the professional jump jockeys’ new 2018/19 season is now well underway, of course our own amateur jumps season does not end until Stratford’s evening meeting on Friday 8th June. That is exactly 25 days away and in case you are wondering why I am counting, that is because our jump championships have rarely been so exciting and seen so much competitiveness at the top of the tables! Zac Baker has been leading the gentlemen for much of the season with an early lead taken last summer and keeping his place for several months. 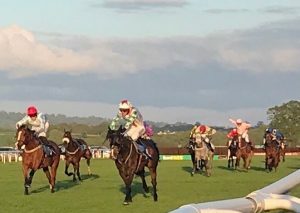 However, with the onset of the Hunterchase season several fellow weighing room colleagues have been stacking up behind him in recent weeks and Lorcan Williams went one ahead last week to lead the tables with 11 winners, leaving Zac and Alex Edwards on 10 and David Maxwell on 8. 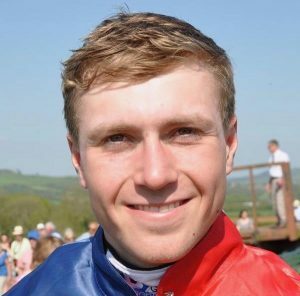 Last Tuesday the AJA hurdle at Ludlow saw Zac rejoin Lorcan in pole position on 11 wins, with Lorcan announcing his intention to turn conditional before the end of the season. 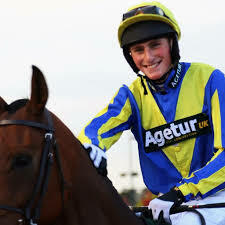 However, the new BHA system whereby any Category B holder has now to complete a 2nd week at either the Northern Racing College or British Racing School before turning pro has meant that Lorcan will have to remain amateur until he is able to complete this course in the near future. Good luck to all the lads for the rest of the season, with a fascinating battle for the championship in store!